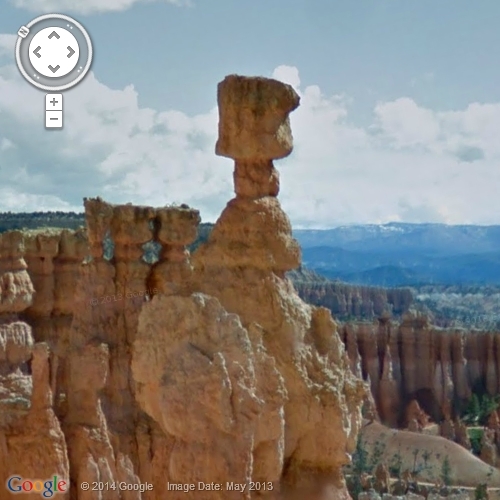 This amazingly balanced rock known as "Thor's Hammer" is a spectacular and classical example of a Hoodoo rocks. A geological name for tent rock or fairy chimney. Such rocks are tall, thin spires of rock that protrudes from the bottom of an arid drainage basin or badland and were created due to of erosion processes whenever relatively hard rock overlays softer more erodible rock, such as sandstone. 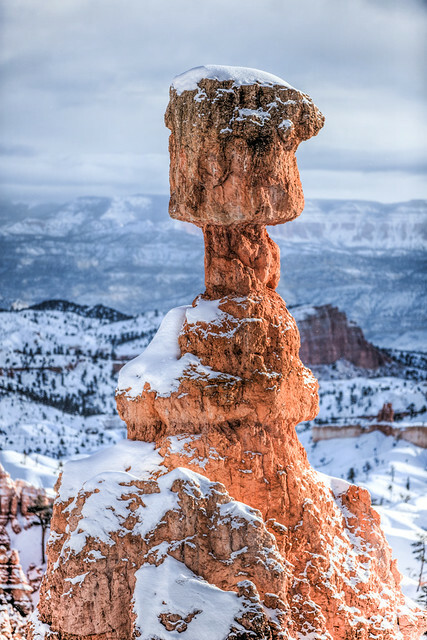 Thor’s Hammer is approximately 46 metres (150 ft) tall and is one of most famous of the several Hoodoo rocks found at the Bryce Canyon national park.